We offer reproduction parts and accessories "All about Jukeboxes" for various US and European manufacturers: Rock-Ola, Seeburg, AMI, Wurlitzer, Tonomat, Bergmann, Jupiter, NSM, Wiegandt, Harting, Jensen, Eltec and others. We set high quality demands. That's why we began to produce more and more parts by ourselves: Glass domes, drive belts, rubber gaskets, metal and plastic covers, grille screens, price and instruction windows, decoration trims, emblems, decals and more. Of course you will also find needles, service manuals and books, records, lamps, fuses, tools and more. Check out our section "Current – New items" frequently to see which products came new into our range. Most items are in stock continously. Some will be made or proof-tested in particuliar when ordered. Other items are very special. They get produced in small companies in a small production run. When sold out, a new batch might not be finished already. It might happen that a certain spare part can't be reproduced anylonger, e.g. due to a missing material. Nevertheless, we try to keep our online offer as updated as possible. We will be glad to get your opinion and suggestions. Therefore you may also use our guestbook. 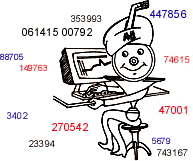 Detailed information about ordering, payment, shipping etc. you'll find in our terms. 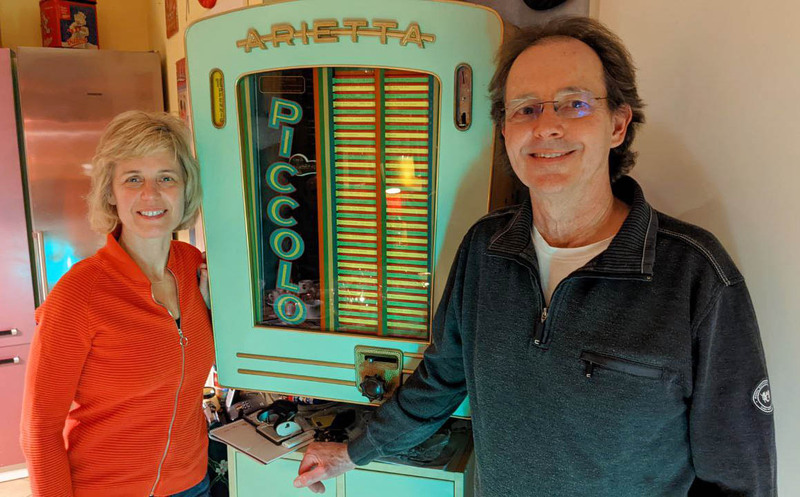 Playing, repairing, restoring, and/or maintaining jukeboxes connects jukebox-lovers all over the world. No matter, the jukebox shall play again well and probably get refurbished back to original condition. Therefore next to skill and knowledge special information, data, specifications, and experiences other jukebox owner might be helpful. This is not obvious only when speaking to newbies, but as well when talking with those who are into this hobby for a very long time already. And it matches exactly our experiences during first years with jukeboxes! For this purpose next to our Online Shop we provide platforms with information and worth knowing facts "All about jukeboxes": Forum, Jukebox-Archive, Database for Serial Numbers and the Classifieds "Jukebox-World". You might have seen that we offer plush toys as well - and maybe you did wonder a little bit. We think we all carry a social responsibility within society. To take care of this we donate the proceeds of the sale of the Kösen and Steiff plush animals to the children's charity organisation Peace Village International once a year. We now hope you'll get along well and find the parts you are looking for. If not, please get in touch with us. Have fun in our shop!